XTC enjoyed a resurgence in popularity building up to their biggest radio hits in the late 1980s, only to retreat back into niche-cult band status by the early 1990s and then nearly vanishing altogether. An interesting thing happened… they unleashed what Andy Partridge describes as their pent-up love of 1960s psychadelic rock and it altered them artistically, somewhat. It burst out all at once in 1985 for what seemed like a gag EP record, but then continued to flow intermittently across their catalog afterwards. After the commercial (but certainly not artistic) flop of their 1984 disc The Big Express, they switched gears and put out an April Fool’s novelty record, pretending to be a long-lost 1960s psychedelic band called The Dukes of Stratosphear. Andy & Colin either wrote newly designed ’60s style psychedelia or retooled rejected songs to fit the bill and came up with a wonderfully fun 6 song EP released on April 1, 1985. Their actual names were nowhere to be found, and only the familiar sound of their voices and the tell-tale sign of their early producer John Leckie at the helm were the clues as to who they really were. It’s a great record, where they knock off the styles of The Electric Prunes or Syd Barrett and others. Sound effects, backward tracks, random spoken recordings and whatnot dropped into the production evoke the sorts of pot and acid induced studio wizardry from 1967 that they’re going for. Bottom line is that the songs are catchy and fun. They sound like they’re having fun, too – what a mood/vibe 180 turnaround from the PTSD feel of Mummer or the bargaining/reckoning stage of The Big Express. Listening to “My Love Explodes” or the Lennon-esque “Mole From The Ministry” made me think that that maybe Andy Partridge actually enjoyed being a musician again. For our next installment of the journey through the XTC catalogue, I thought I’d skip to a low point in their chronology. Well, sales-wise, anyway. Right when the timing was perfect and all the ducks were lined up in a row for the band to break big…. the beginning of what would have been an American concert tour to promote their most popular & best record to date in English Settlement…. Andy Partridge went cold turkey on the valium he’d been taking since childhood thanks to his wife flushing it all down the toilet, and this led to a total breakdown. Partridge fell to pieces, developed enormous stage fright. The tour was canceled, and Partridge resolved never to tour again. After a time but actually during his slow recovery (and you can hear it evolve on the album I’m about to discuss) the band retreated into the studio to begin their evolution towards production wizardry. But their first effort, 1983’s Mummer, would show the growing pains in taking this approach. Those early 80s music years were frustrating ones for listeners/fans of the energetic burst of punk and new wave that splashed across everywhere in the late 1970s. 1983 marked a year when it seemed that EVERY sharp ‘n’ angry young rockernewwavepunk act with a debut in 1977 decided to change their sound, and ALWAYS in a more mellow direction. Paul Weller went from fronting The Jam to The Style Council. Elvis Costello released the aptly titled Punch The Clock, a record that…. well, let’s just be honest, it doesn’t hold a candle to This Year’s Model, now does it? Or how about Graham Parker, who released his mellow and happily married The Real Macaw, a decent record, but certainly no Squeezing Out Sparks or Howlin’ Wind. Or perhaps you prefer Nick Lowe and Dave Edmunds and Rockpile? Well, in 1983 they both released solo albums post-Rockpile breakup. Edmunds Information, a decent record, although his backup band is basically ELO and the synth/tech sound was not exactly what we’d hear before. Lowe released what’s arguably his weakest solo album, The Abominable Showman, a record that never really seems to get going and moves in way too many directions (or tries to) stylistically. Talking Heads put out Speaking In Tongues, probably the peak of their “funk” sound period and probably the best 1983 album I’ve mentioned on this look-at-all-of-us-get-mellow list. I got treated to the 2017 documentary XTC: This Is Pop via a free promo weekend of Showtime. It’s a solidly made doc following the history of the band from its earlier Helium Kidz incarnations to its 1977 album debut, personnel changes, rise, fall, re-rise, strike, sputtered comeback and eventual demise. It’s a great intro to the band if you’re not at all familiar with them or only know them via “Dear God” or wonder whatever happened to that offbeat sounding band with the odd sounding lead singer who sang “Senses Working Overtime.” Lots of music and old wonderfully cheap-styled circa 1980 rock video is presented, along with interviews with musicians, critics, and principal band members, notably Dave Gregory, Colin Moulding, and Andy Partridge. The band’s history, song by song, is covered in Neville Farmer’s authorized 1998 band bio XTC Song Stories (a book evidently later trashed by Partridge, can’t say I’m surprised for reasons I’ll go into shortly). A lot of the same material is covered in the film visually, but the film adds one amazing scene that’s a true revelation for longtime fans of the band like me. Andy Partridge has synethesia, where perceptions get mixed up – colors become tastes, sounds become pictures and so on – and this mixed up/associative way of seeing the world is how he writes songs. He strums a guitar and finds a strange sounding chord he claims he’s never heard before…. starts strumming it… says it makes him think of the color brown, but sad, like a brown puddle… and then comes up with lyrics about a sad brown puddle and it all comes together. And all at once the seemingly limitless styles of arrangements, sounds and tones of the vast catalogue of XTC’s music suddenly made perfect sense to me. This scene alone makes the movie worth seeing. So I thought I’d go back and listen to it all again, bearing in mind Partridge’s synesthesia and seeing (well, hearing…. I don’t have synesthesia) if I could pick elements of it out of his songs. The Moulding songs? No problem, I’ll go along for the ride with ’em… I always liked his stuff too. Holy crap! A reconstituted Pandoras, recording for the first time in 29 years (eek!) under the name, came out this week! It leads off with a cover of “It’s Getting Harder All The Time,” an old Wayne Fontana tune, and then launches into a mini-set of songs penned by original Pandora’s founder Paula Pierce, who died in 1991. Kim Shattuck and Melanie Vammen, who had left the original Pandoras long ago to form The Muffs, a great band Shattuck has been fronting since, team up with bassist Karen Basset and drummer Hillary Burton for what’s basically an album side of some great power pop/punk-ish stuff. Shattuck tones down her Muffs’ style screams and growls a bit here, and Vammen’s farfisas underscore throughout. 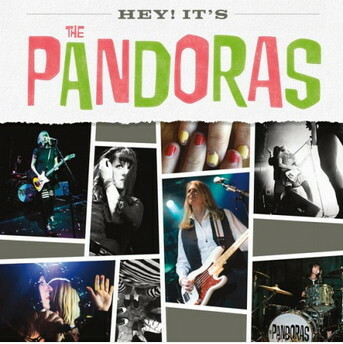 The Pandoras got less pop/punk and more hard rock after Shattuck & Vammen departed, and the songs they do here are from the earlier (and better, imo) period. Listening to this was a nice reminder of ’80s music I liked a lot. So is it a rebirth of the band? Will they go on to produce new material? Or is it basically a mini-reunion and tribute to Pierce? It’s a great 22 minutes, but I hope it’s the beginning of new material getting produced. Get it here! Yeah yeah, it’s also on iTunes and Amazon and all the rest, too. Well, that’s because it probably doesn’t, except in the work of graphic artist Cris Shapan. I highly recommend following Shapan’s Facebook Page where he regularly posts this stuff, as well as his Funny Or Die page. The style of humor reminds me a lot of Drew Friedman, who loves to pick out his favorite childhood celebrities and illustrate them all too realistically in bizarre settings. Check out “Jimmy Durante Boffs Young Starlets” for example. I’m surprised he doesn’t maintain some sort of regular website containing all this stuff, it looks like he’s content to use Facebook. My other theory is that this guy clearly gets his jollies posting this stuff & then kicking back to watch people repost it thinking it’s real. Shapan’s handle on the recognizable & realistic graphic designs of the stuff he’s goofing on from yesteryear is amazing. The colors, fonts, details of wear & tear, etc. are absolutely wonderful. 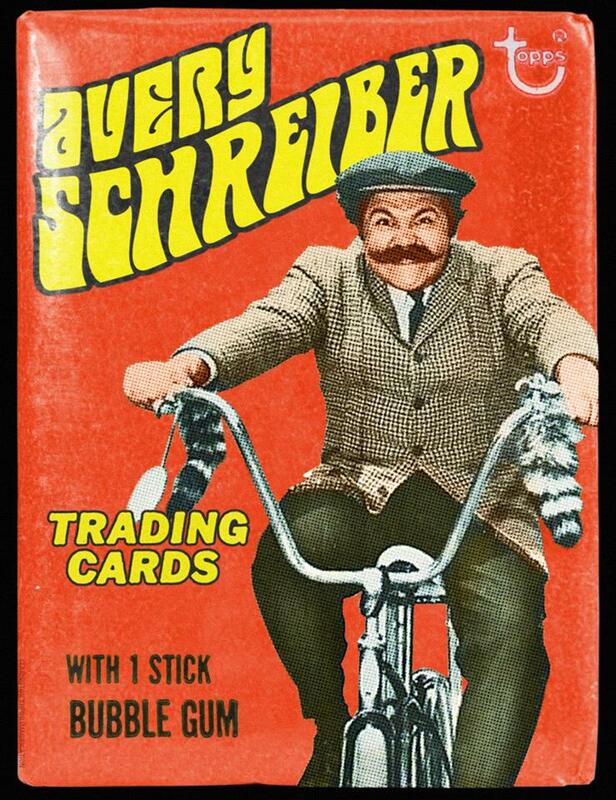 Look at the wax paper lighting effects on that Avery Schreiber bubble gum pack (I wish I had one of those!) giving it real texture and depth. Great stuff. Nice to see he gets work in Hollywood, hopefully they’ll let him apply his comedy genius somewhere. Welcome to all the B3TA people who found this post on your board! Feel free to look around the rest of this blog. Check out the topic menu. Or just keep scrolling & enjoy. Lots of film & TV articles on everything from film noir to Punk Rock Quincy to The Oscar, cat pictures, stupid jokes, you name it. And MOST DEFINITELY click on the “Buy My Books” tab and check out my comic detective novels on Amazon. Help feed me, or so help me God, I’ll summon the spirits of Karl Malden and George Kennedy to wreck YOUR toilet. You’ve been warned. 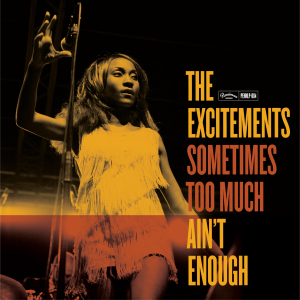 The second album from the Barcelona R&B line-up is a good’n, with a series of catchy tunes evoking the best of early James Brown, Ike & Tina Turner and the like from the old STAX record days, fronted by the great vocals of Koko Jean-Davis, who seems to be channeling Etta James. These folks would fit right in to a 1965 episode of Soul Train or the line-up of The TAMI Show. I’ll listen to the Little Steven show via the web, or put some Direct TV music channel on now and then, but mostly I’m playing stuff off the spiffy new iPod I got for my now-longer commute. While looking around the web for stuff I might like, a “Chuck Berry” related searchin’ safari led me to the truly amazin’ band The Refreshments. No, no, no! NOT the American band called the Refreshments, the SWEDISH one. Don’t you know if you want true American rockabilly you have to go to Scandinavia? They’ve been accurately described as Sweden’s answer to Rockpile & The Blasters, although they’ve put out more material than either one of those other Wagstaff faves – 20 CDs in all, including a few live ones, but mostly original rockabilly/bluesy rock material spiced with covers of Berry-esque material thrown in. Their most recent CD is a salute to Berry, mostly of Berry covers along with tribute style songs. Did I mention that after hearing them I got all 20 of their CDs? Yeah, that’s how much I went nuts over these guys. The band went through a few minor incarnations since 1995 or so – early records feature former Rockpile guitarist Billy Bremner, and after that the music features possibly the best boogie-woogie pianist I’ve ever heard in any band, Johan Blohm. I can’t understand why this stuff hasn’t made it onto American radio, onto country/rock formatted stations, or anywhere. It’s as purely an American form of music as jazz and it’s been pushed out by Robin Thicke ripping off Marvin Gaye. I DEMAND MUSICAL JUSTICE!!!! Another reason why I love the internet – I’d’ve NEVER known about this band otherwise. Anyway, if you’re a fan of REAL rock ‘n’ roll, check these guys out, something to add to the list of Swedish exports along with Volvo, IKEA and ABBA. My own favorite material from them includes (ironically for Mr. Jew) their 2 Christmas themed records and their CD “24-7” which I find myself playing over and over again. They also backed up Rockpile’s Dave Edmunds for a live album that’s a must-listen. These guys were lured out of retirement back in 2007 to play some club dates and came up with some new material that leaves oh so many other bands in the dust. Get it NOW! No clunkers in the bunch here – one guitar-laden multilayered ’60s style garage rock earworm after another, with hooks and melodies evoking the best and most enjoyable candypop that the early Beatles or Cheap Trick ever came up with. 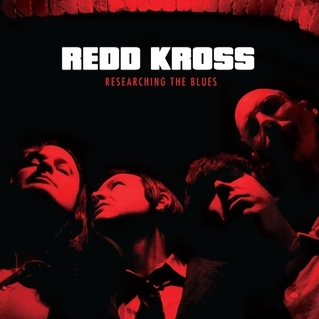 I’d missed Redd Kross a lot since their last album, the excellent 1997 CD Show World – this one is less polished production-wise, but the songs are all winners. “Stay Away From Downtown” is the single, although other radio-worthy material (if radio was worthy of decent rock, outside of Rodney Bingenheimer & Little Steven Van Zandt) like the Byrds-esque “Dracula’s Daughter” or Weezer-esque “Winter Blues” is also quite catchy. 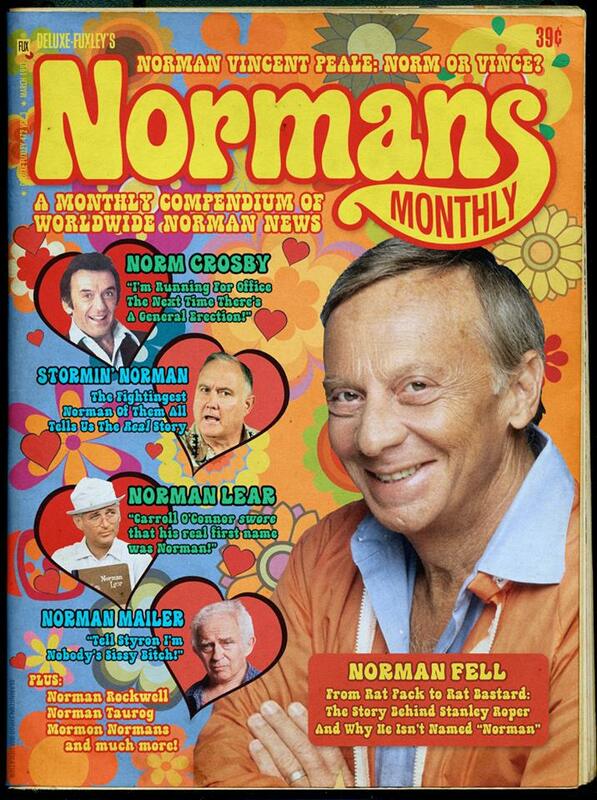 Up there with the aforementioned Show World and Third Eye as their best stuff. Highly recommended. Oh, this is a good album. A very, very good album. I’ve been a fan of these guys since their 1986 debut Especially For You, and this recent effort of original material (the first from them after a few years of cover CDs) succeeds admirably in getting back to the sound ‘n’ feel of that first great record of theirs from 25 years (gasp!) earlier, also produced by Don Dixon. They mix up the rock styles very nicely with layers of Rickenbackers, from blues (“Goodnight, Goodbye”) to rockabilly (“All The Same”) to powerpop (“One Look At You” and my fave track on the album, “Sorry”) to mellow (“Bring Back The One I Love”)… and the songwriting is still strong. 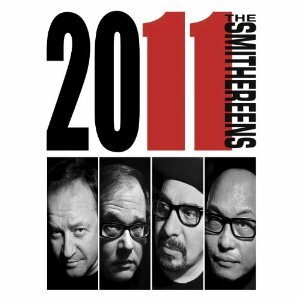 Pat DiNizio’s vocals & lyrics continue to sing best about disappointment & heartbreak to catchy melodies & hooks just like back when both of us were a lot younger. Outside of Frank Sinatra at his ’50s peak, I can’t think of another act that consistently sings of wistful male loneliness in the wee hours of the morning like these guys do. Big, big thumbs up! Get it!